Time to get crafty! Here at SuperMOMdel world headquarters we are always trying out new things and even looking at things already done to see how we can make it. They say imitation is the sincerest form of flattery. Well, all the rage now are hair accessories. I love it. I cut my hair short last year and really enjoy hair pins and head bands. Most, recently someone very dear to me went au naturel . I wanted to make her something real nice to celebrate her transition from relaxed hair. Here is what you need. 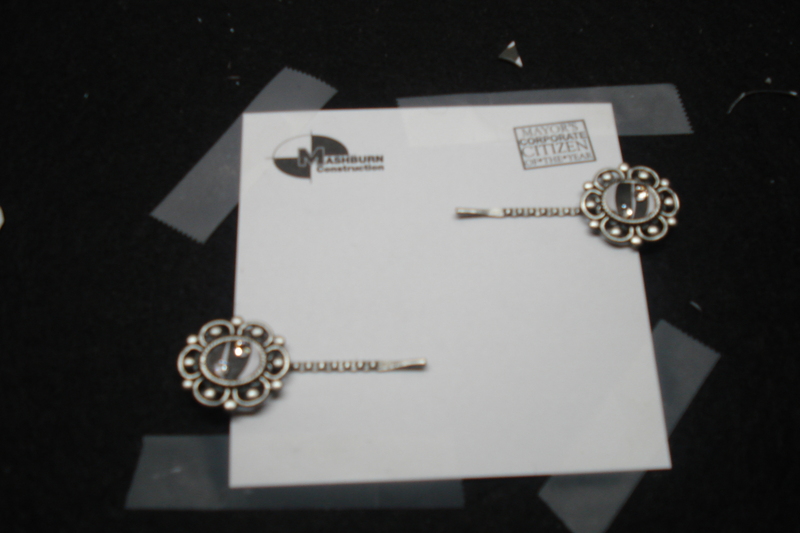 I found at Michaels these hair pins that had a hallow center where I could add my design. I picked up two different kinds of scrapbook paper so she would have variety, I also put some gemstones, although I never used them, scissors, a pencil and my new favorite thing: Mod Podge Dimensional Magic. 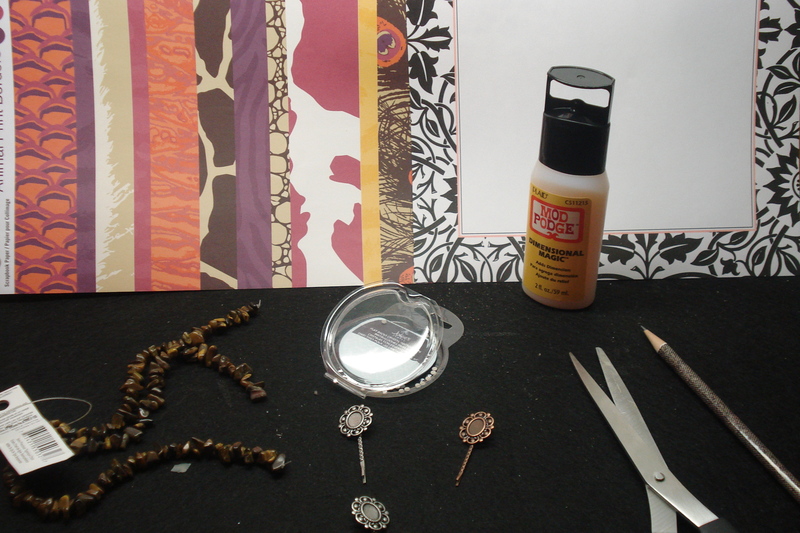 Next, take a plain piece of paper, take the well of the hair clip, trace the center, then cut it out as a model. 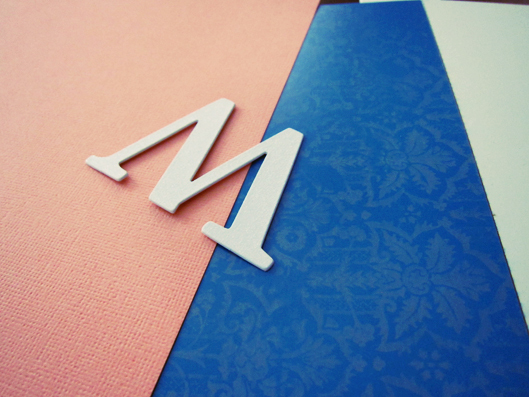 Now, pick out your scrapbook paper. I always pick up extra from Michaels when the paper is 5 for 1 buck. I also had some computer paper that had a really cute border. 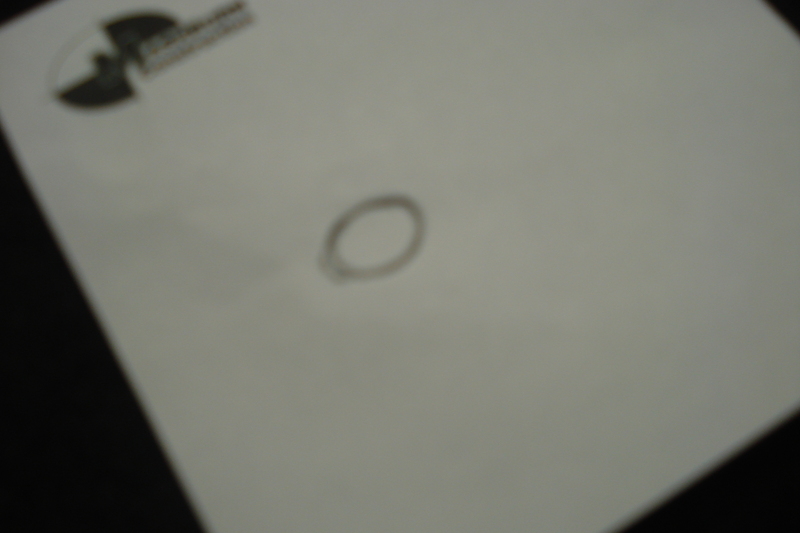 I took my oval and traced it on the part of the paper which had the most color. Then it was time for the glue! I used super glue, just a dab with do. 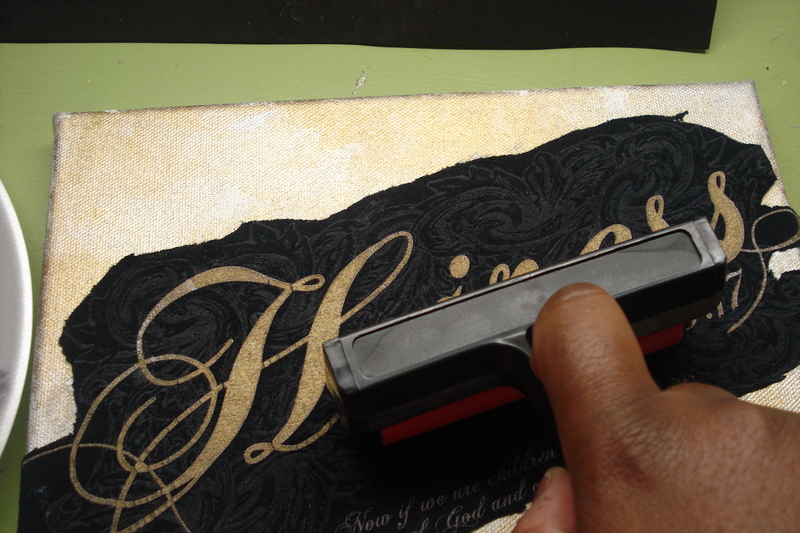 You don’t want to use too much that caused the glue to seep through the paper. Another option you can affix the paper to a small piece of cardboard and attach to the inside of the hair clip. I love shiny things! My dear friend not so much. but I figured just a lil’ bling (flat back crystal stones by Jolee). When using Dimensional Magic it is VERY important you make sure to have your item on a level surface. I used some sticky notes, clever right? Here are some other things to keep in mind as well. Make sure NOT to shake the bottle. You do not want air bubbles in your finished product because it will dry that way. If you find some air bubbles anyway, make sure to pop them. Also, make sure to have the correct room temperature to prevent cracks. 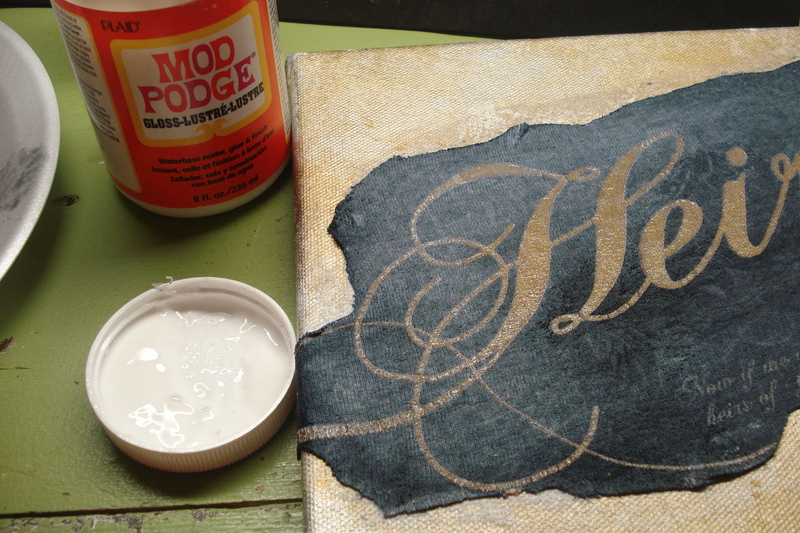 And finally, my favorite part add Mod Podge Dimensional Magic. Plaid the company which makes this neat product says Dimensional Magic creates faux mosaic, quilt and other textures with added dimension. It takes about 24 hours to dry. 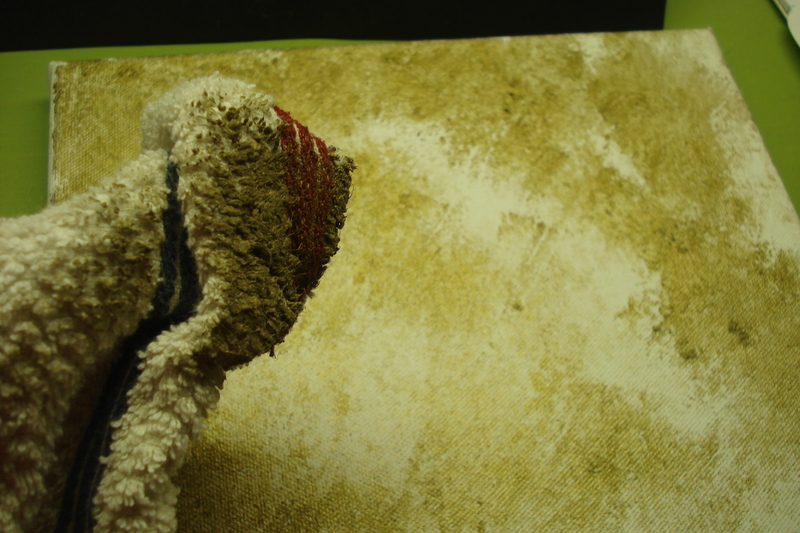 Once dried take a damp cloth, wipe off project to give a clear shine! My friend Amy from Mod Podge Rocks recommends if after drying you see dips in your project it is okay to add more Dimensional Magic to the area. There you have it. Will you try it? 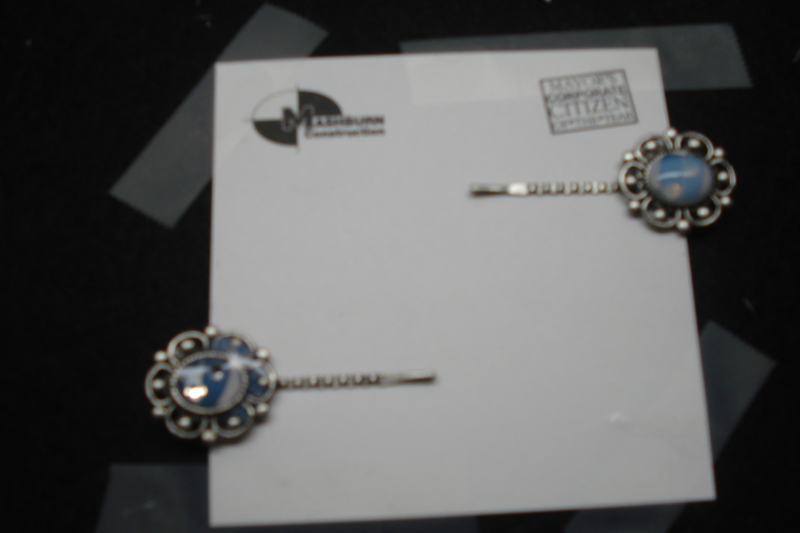 By the way, when I gave my dear friend her new hair pins… she was happy and told me she has to hide them from her daughter. Paint It: I painted the room in a peachy pink and mint green color. I am so happy about the peachy paint stowed away at my parents home in my Dad’s workshop. 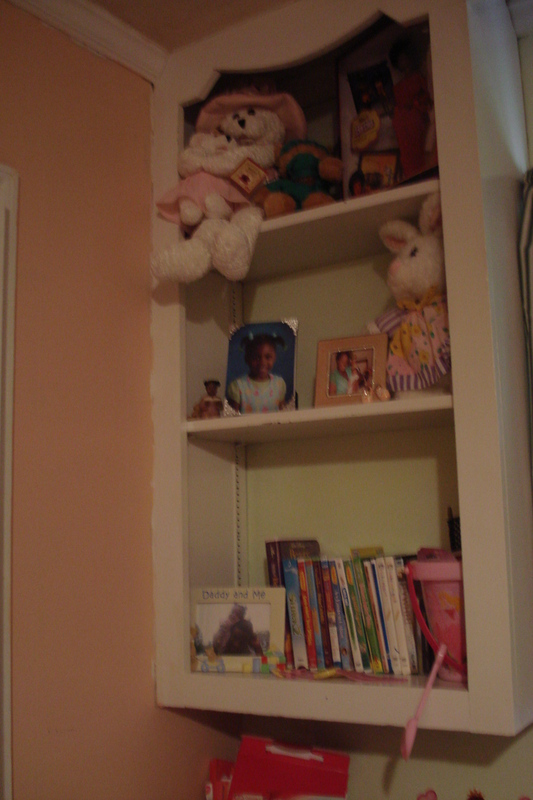 The mint green paint, used in the background of the built-in shelves cost just $3 bucks! Hallelujah! Tip: When shopping for paint check the paint clearance section at your local hardware/home improvement store. 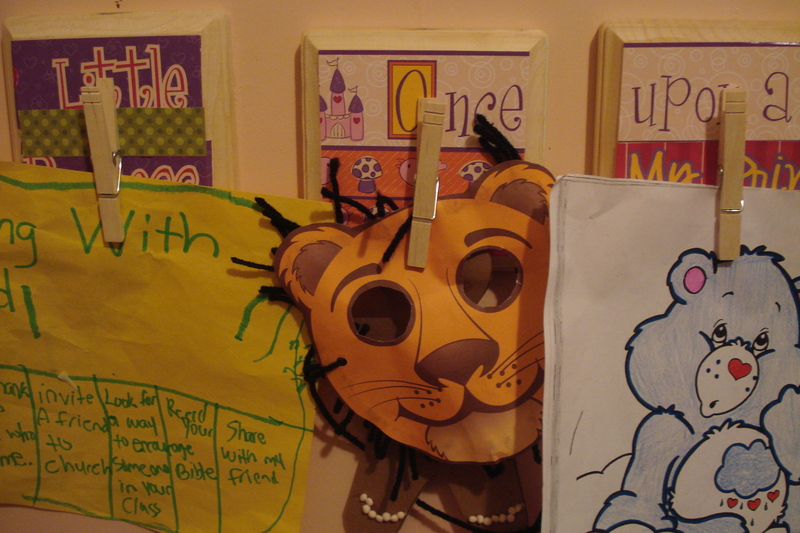 Masterpieces on Display: I purchased these wood blocks from Michaels and covered them in princess themed scrapbook paper with a clothespins attached, so the girls can hang up artwork. I got the idea from Little Miss Momma’s Blog. This is so easy and super cheap to do! 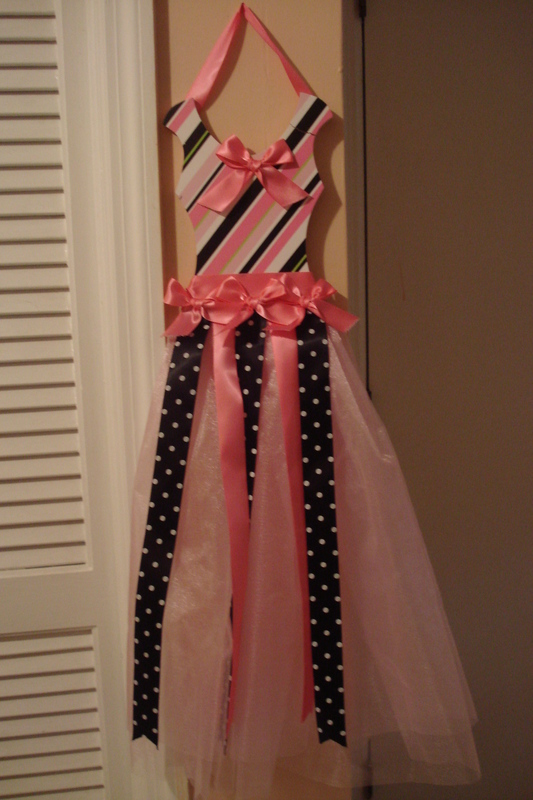 Ballerina Princess: Every little girl wants to be a ballerina, right? 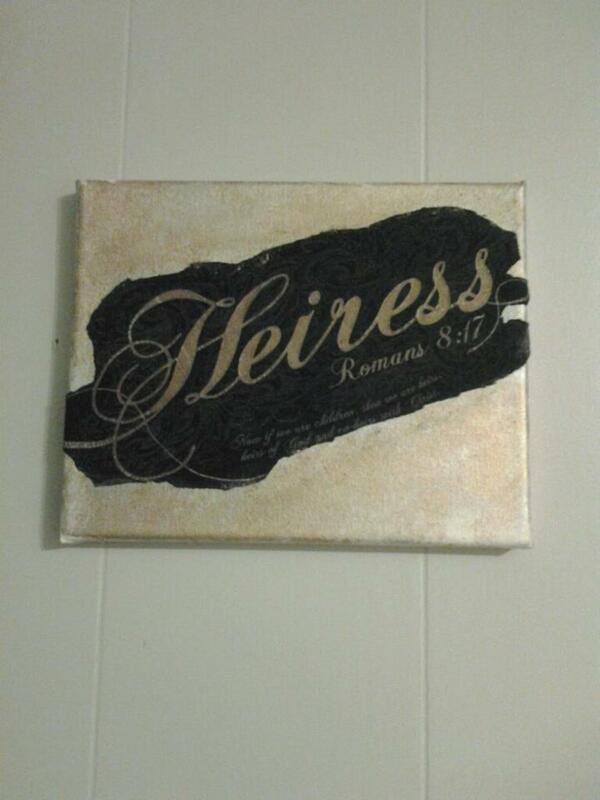 I scored this from Hobby Lobby for less than $6. It has a crack in it and talked the manager into giving me an extra discount. It may not completely match the colors of the room but nonetheless it adds a little pop to the decor. 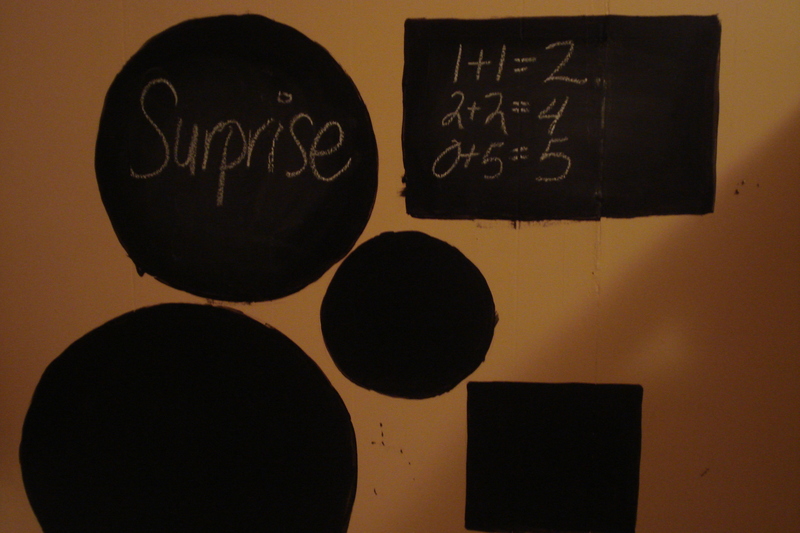 Yes, You can write on the wall: I am so into chalkboard paint. I blame Pinterest! I have seen so many cool chalkboard projects. 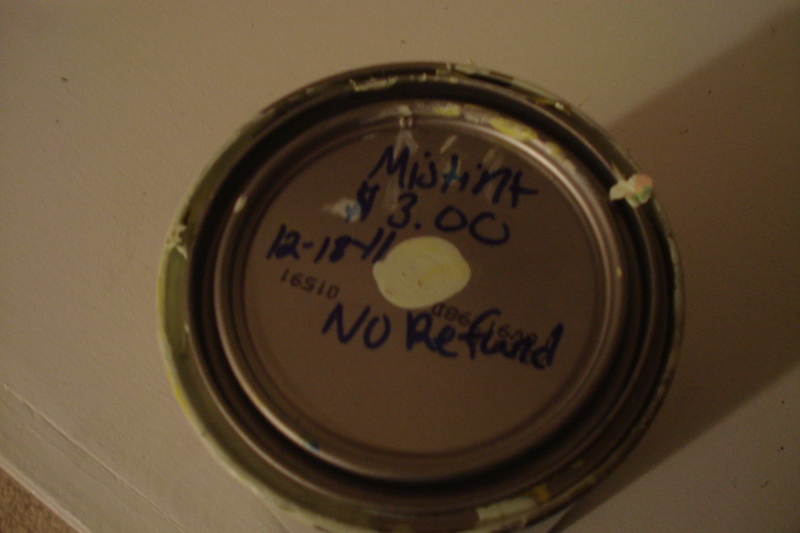 I purchased a can of chalkboard paint from Lowe’s for about $13. I did not want to do the classic square but several different shapes. I think we will add more. Switching things Up! 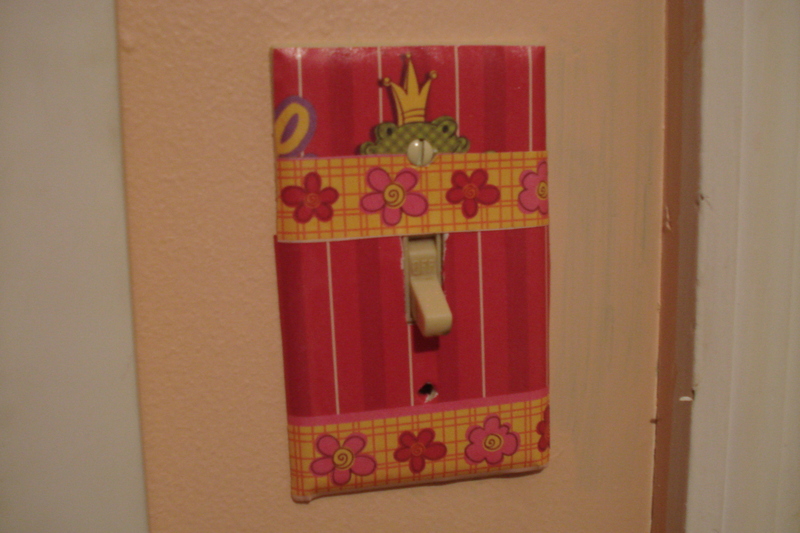 : I decorated all the visible outlet covers with “princess” themed scrapbook paper. I had a good bit left over from the previous project. I posted step by step instructions here. On Display: Overall what I love about this room are the shelves which can with the house when we purchased. 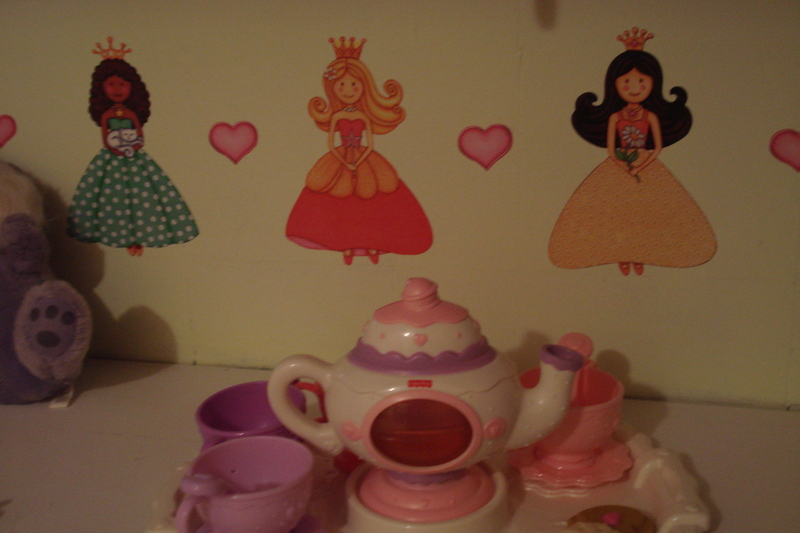 And finally at the built-in desk around the trim I placed these wall decal Princesses. Mt daughters were so delighted about this find from the dollar tree, yes I said the dollar tree! So what do you think? Did I do a good job? 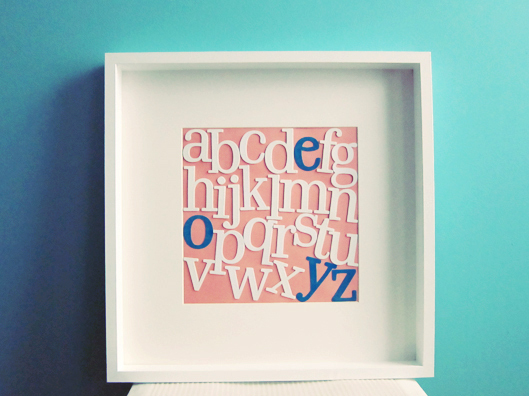 Freestyle Friday: Get Yo’ Craft On! Today, we are repurposing an old t-shirt and turning it into art. 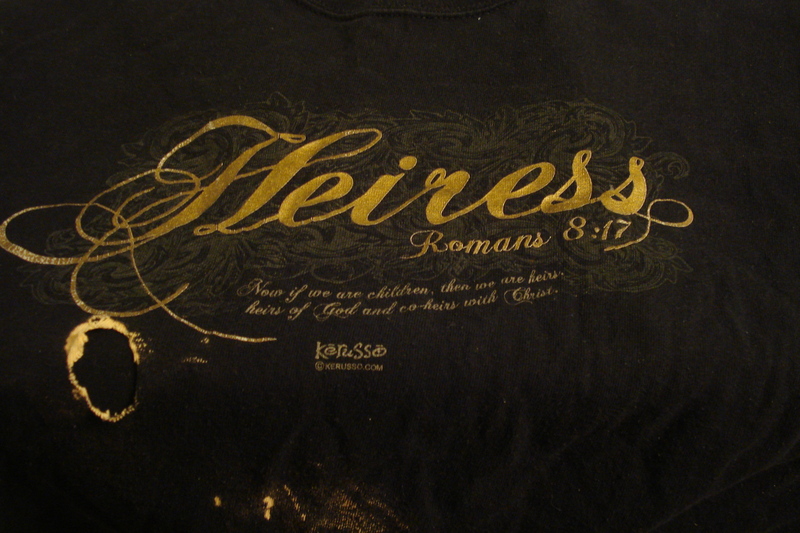 I had this really great Christian t-shirt. Unfortunately, like most mothers I was wearing it while doing the laundry and you guessed it, I got bleach over it. However, I refused to throw it away with hopes I could do something really cool with it. Well, I found a great use for using the graphic from my bleached out shirt and turned it into artwork for my home office/bead room. By the way, this is totally super easy to do. Here is my shirt. 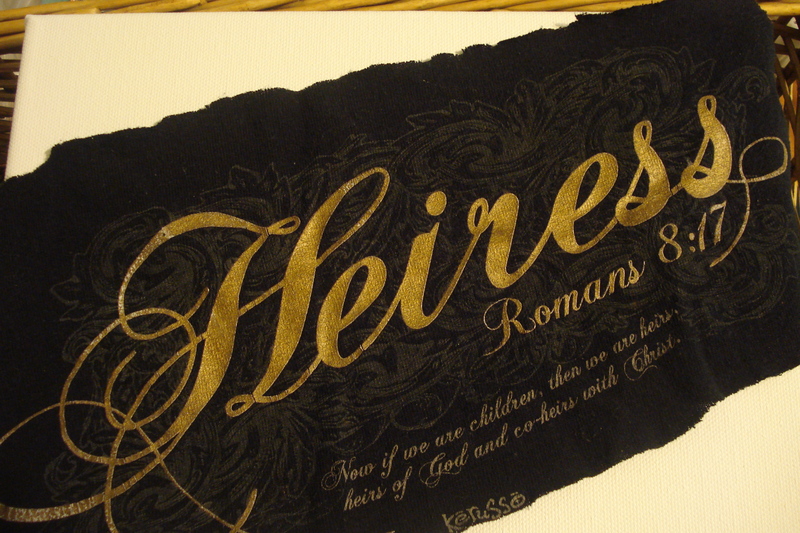 I loved the “Heiress” and Roman’s 8:17 scripture. I felt like royalty in this shirt. My "bleached out" shirt, hole and all. This is the list of supplies: 8×10 Canvas, I scored this one at Michaels when they had the buy one get one for a penny. 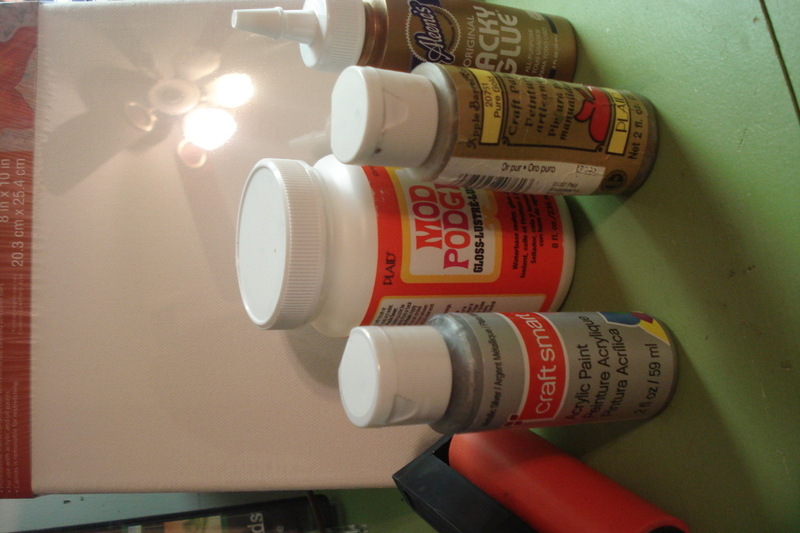 Mod Podge, my favorite craft supply, the Mod Podge rolling-pin(a must), matching acyclic paint in gold and silver or any color of your choice and tacky glue. The first thing I cut out the design on the shirt and then I used these color acrylic paint which I got on a super deal again at Michaels. I poured out the paint on a paper plate and pulled out the canvas to paint. 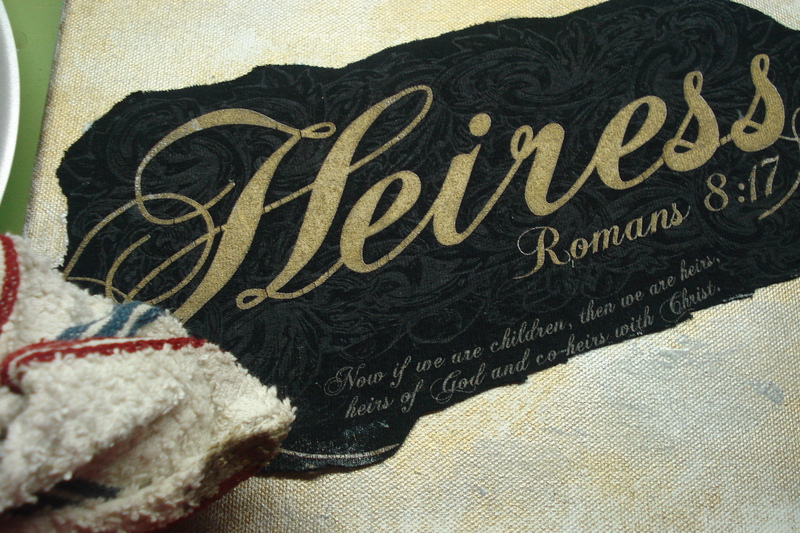 I used an old (dry) dish cloth, first using the gold paint in a dapping technique on the canvas. Make sure to not use too much paint. This is the finished product. I really like the hint of white that stills shows through. It almost looks like an “antique.” I used the same technique as above with a pewter silver color to go over the gold parts. It was a great addition. Now you want to take your t-shirt and measure it on the canvas. You can make it wrap around or cut it exact. I cut it directly around the letters however, I think next time I do this I will just cut around the words. Take a liberal amount of Tacky Glue and coat the area where you will place the shirt. Take a rolling-pin like the one Mod Podge sells and roll out all ceases or dents in the shirt. I love this little tool. A great investment. Once it dries which will be about 15-20 minutes. I pulled back out my old (dry) dish cloth and added some more acrylic paint. Final touch which is my favorite part. 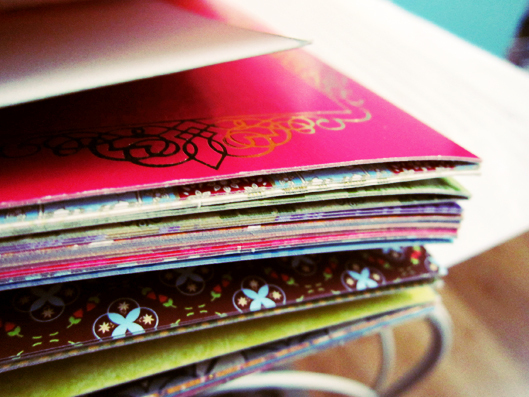 I really like Mod Podge. This stuff is like a crafters drug of choice. (Just Say Yes!) Take a black sponge brush, you can find these in the art department rather cheap at any craft store. Dip in the Mod Podge, I used the Gloss which is a glue and sealant all in one. Brush across shirt area and canvas. I let this dry overnight, you don’t have to but it was late at night and I had to get to bed. The Final Touch: Viola! You have just taken a shirt and repurposed it into artwork. You’ll think twice now before throwing them away now won’t you?